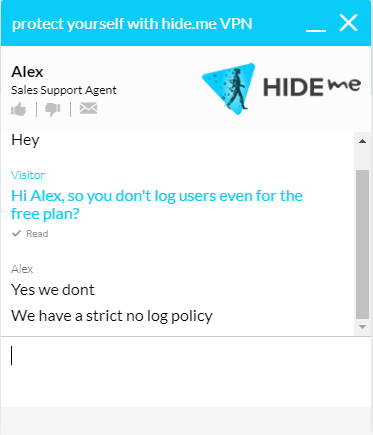 With a freemium pricing model, hide.me is able to offer a free plan without mining your data. Or so they claim. What they lack, they make up for in quality and transparency. In our Hide Me VPN review, we’ll show how their service attempts to set itself apart from the rest. Whether you’re looking for a way to enhance your security and privacy online, or simply bypass restrictions set by your ISP or even government, there are more reasons than ever to use a VPN service today. While there are many providers that advertise a free product, they will often serve you intrusive ads or even record or sell your data – defeating the entire purpose of using a VPN service in the first place. Yet somehow, Hide Me (hide.me) VPN offers a free plan without mining your data. Want to watch a quick video review before diving into our in-depth review? Hide Me (hide.me) VPN bills itself as a fast, reliable and flexible service with over 10 million users. How flexible? Let’s find out. 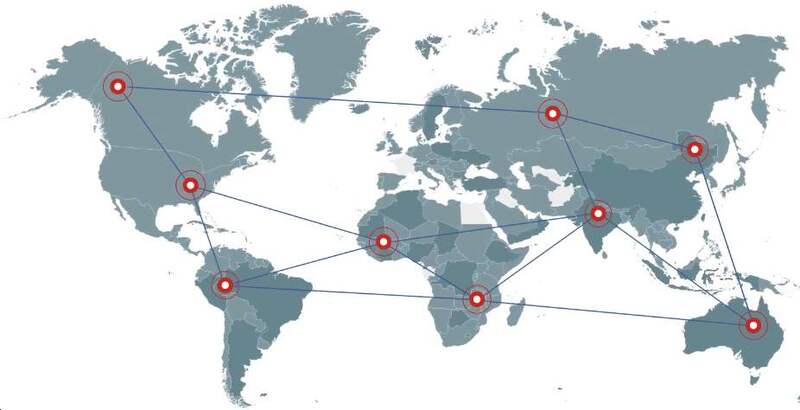 The network speeds are phenomenal – they all operate as dedicated gigabit servers. After several hours of general use, I’ve found the service to be fast and reliable. This includes streaming 1080p60 video on YouTube, playing music on Spotify at its premium high-quality setting and browsing websites with rich media. Our experience was virtually indistinguishable from using these services without a VPN enabled. This was despite connecting to the US from our test location in Europe. Every app and service worked as they should with little to no performance issues, with the glaring exception of Netflix content being completely inaccessible. Torrenters will be glad to know that hide.me will work with your torrent clients. Hide.me public states that they support torrenting, and their forum is full of users sharing their experience torrenting with the VPN. It also offers port-forwarding for maximum download and upload speeds. If you’re specifically looking for a VPN for torrenting purposes, check out our top 5 VPNs for torrenting here. Hide.me currently offers two paid options to choose from. Its main Premium plan at $9.99 per month and a more flexible Plus plan at $4.99 per month. If you’ve tried the paid service and decide to commit to it, paying for it in 6 or 12-month intervals can net you a 50% discount. This brings down the Premium price tier to $4.99 and Plus option down to a paltry $2.49. The Premium option offers unlimited data, 5 simultaneous connections and access to hide.me’s full set of server locations. This pricing and what it offers mirrors many other similar services, but the arguably more interesting choice here is the Plus option. For half the price of the Premium tier at $4.99, you can choose from the same set of server locations and have only 1 simultaneous connection. While you don’t get unlimited data, the Plus option grants 75GB of data transfer per month which is more than enough for most users, including those that stream media heavily or download large files. This is hide.me’s most attractive quality by far and makes it an instant competitor to a number of different providers by being one of the more affordable paid services for the buck. There is no time restriction for the free plan – you are only limited by server restriction and bandwidth. The free tier only allows you to connect to three different countries: the Netherlands, Canada, and Singapore. This is sufficient for those looking to use the service as a means for increased security and privacy when browsing the web in public locations such as the airport or coffee shop. However, not including a single US location rules it out as a viable option for accessing a variety of content such as the many blocked YouTube videos only available for US citizens. Guarantee that it will not store or sell your data. Customer support for every user including the free tier. The only difference being limited data transfers and the number of server locations and simultaneous locations. Both the Premium and Plus plans offer a 14-day money-back guarantee, with the ability to pay with a standard credit card, PayPal or in crypto. There are also a handful of crypto payment options including Bitcoin, Ether, Dash, Litecoin, Monero, and Ripple. Some users prefer a browser plugin for their simplicity. 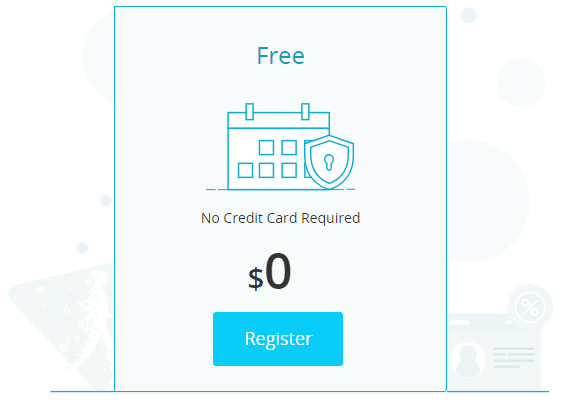 It seems hide.me really knows their user base – offering a free plan for the cheap and browser plugins for the lazy. If you are one of those people, you’ll be happy to know that hide.me VPN has a dedicated browser extension team. One of the highlights of hide.me is definitely its solid user experience. Downloading the setup file from the website is almost instant due to its size of only 5MB, while the installation process is quick and straightforward. The native apps are relatively easy on system resources as well. When it was running on Windows 10, the hide.me app used up less than half the RAM of a competing VPN service’s app. The other app wasn’t even connected or sending any traffic, either! In terms of efficiency, hide.me’s app performs superbly. A big button in the middle to connect to the VPN servers. The option to change your location. The handy option to do a quick privacy check to verify your masked location, IP address, and IPv6 capability. The privacy check page is a convenient way for the privacy-minded folk who need to confirm from time to time that their internet usage is safe, secure and private. The app’s settings page offers the ability to customize your experience. Starting hide.me when you turn on your computer so that you’re always connected. Setting specific DNS servers to always be used. Selecting the exact VPN protocol to be used by the service. Making custom scripts for different use cases for advanced users. This experience extends to all the different platforms that hide.me is available on as the company built native apps for each. 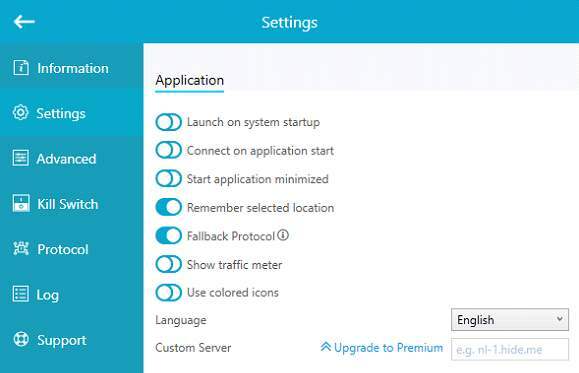 Let’s not skip over hide.me VPN’s excellent support options. This is available to every user, including those that are using the free tier. Live Chat worked particularly well. Having a live chat for the free users requires a lot of resources on their end, but they still somehow manage to deliver an excellent response time. An agent was online instantly, and he transferred me to another agent who was able to answer my question all in a matter of seconds. The app has a dedicated support page in the options screen where you can easily create and submit a ticket, while handy links to the site’s FAQ, Live Chat and forums are also a click away. Though hide.me falls short on its streaming capabilities, the service makes up for it in terms of its privacy and security. It has a zero log policy and states that its systems are created without the ability to log user data or activities. The company is based in Malaysia where the country has no mandatory data retention laws, and where the US law enforcement cannot issue search warrants. This basically ensures that your data will not reach a third party, government or not. It does record your email address in an encrypted form on encrypted servers – so make sure you create a fake email account if you’re worried at all. IP and DNS Leak Test: All passed! Another security aspect users look for is whether their information is being leaked. We’re happy to say, hide.me also features protection against IPv6, IP leaks, and DNS leaks. 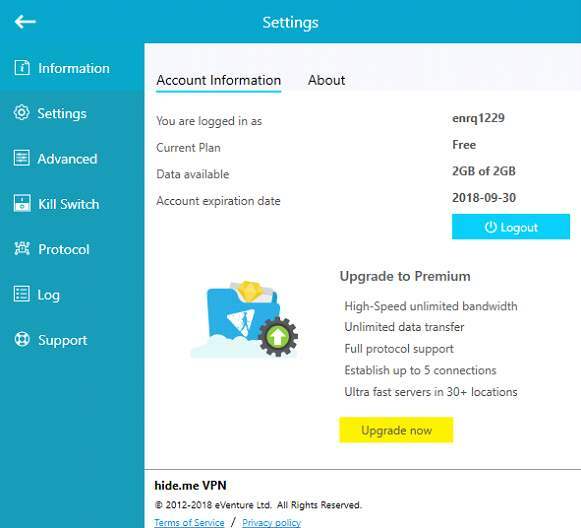 This VPN service is equipped with strong AES256 symmetric encryption with 8192-bit public keys. 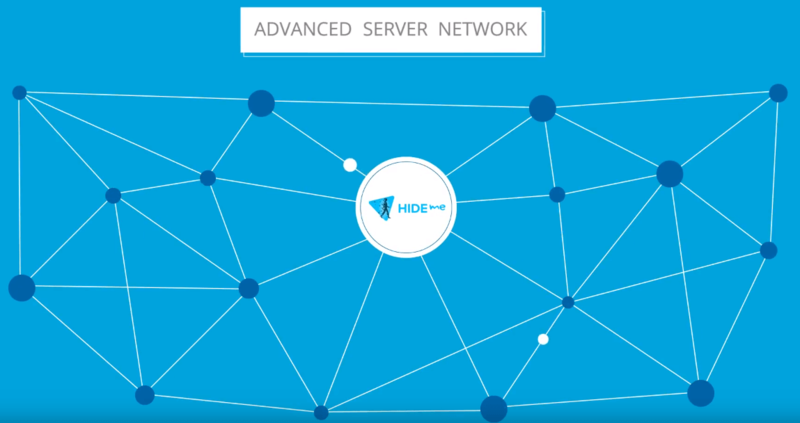 Like other VPN services, hide.me allows you to connect to a number of different servers across the globe. Their servers are hand-picked to fulfill their operational standards. But let’s be honest; their server count isn’t high compared to the top VPN services; less than 200 servers total. However, this doesn’t reflect the total number of VPN instances running on these servers. Their team did explain: they don’t use this number because they want to be transparent with their physical server count – unlike other VPN services. So the “true” number may be in in the thousands. In total, they are spread out over 34 countries across 6 continents. This includes a total of eight different services in the US, covering both the east and west coasts – giving you the flexibility of faster service, depending on where you live and which part of the country is closest. What they lack in quantity, they really make up for in quality. One key weakness of hide.me is that they do not guarantee getting around Netflix’s restrictions. Unofficially, Netflix does work on their US Las Vegas location. But as soon as you try to stream something, you are greeted with a black screen confirming your usage of a VPN. This same black screen will also appear on any other video you choose even if it’s normally available to you in your region. This makes hide.me somewhat unusable for those looking to use it to stream from the popular website. If Netflix streaming is one of the primary reasons you’re looking to use a VPN, then remember: hide.me doesn’t guarantee this. We recommend going with one of these instead. The company does suggest trying their free option on your service of choice, and while not all streaming services may work, there could be exceptions. This is not the section you’re looking for (*sweet Jedi hand wave*). On a serious note, nothing we tested under hide.me’s services was specifically a con. Hide.me was founded in 2012. They say they’re providing services to over 5 million users. Their revenue range is under $2 million. They’re made up of IT security experts who seem to care deeply about security and privacy online, and are particularly proud of their no logs policy. Hide.me is registered under eVenture Ltd. in Labuan, Malaysia. Therefore, it falls outside of the Five, Nine, and Fourteen Eyes Alliance. This is good news for privacy advocates who want to keep their data away from prying government entities. When it comes down to it, every user will find their own specific use for VPN services. But the majority will usually fall under two different camps. Those that are looking for a way to secure their browsing online and avoid tracking. Those that are looking to bypass restrictions and access content that would otherwise be inaccessible. Hide.me VPN (eVenture Ltd.) features a compelling option for the former as it operates in Malaysia, outside of any alliance jurisdiction. …And a lacking one for the latter due to the incompatibility with such a popular service like Netflix. But if Netflix is not an issue, hide.me’s affordable payment options, solid performance, and great customer support make it an easy recommendation, especially for the free trial.